Given that at least one or two people liked the last Carnival of Souls music that I posted, I thought that I would delight those who are interested with the last EP that the band recorded. 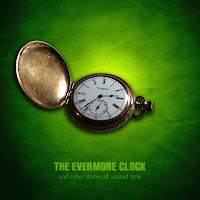 The Evermore Clock (And Other Tales Of Wasted Time) was intended to be another 4-track EP, but the band split up before the last two songs could be recorded. An alternative, earlier version of H5N1 was included on Gronk's Tricks of the Light album—under the name Dream On (Hope Springs Eternal) but The Solomon Clock (though a live favourite for some time) was never released. For those who are interested, The Solomon Clock is a very old, wall-mounted, Dutch-manufactured clock, that depicts the Judgement of Solomon that my grandfather (who was an avid collector of timepieces) possessed and which now sits in my father's house. My grandfather was a somewhat forbidding character and the clock—with the vignette's moving swords and sceptres—appeared to a young Gronk to chime in the same vein, I think. 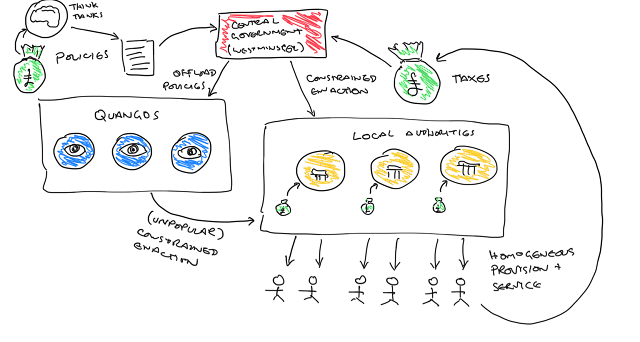 In any case, the original recording was done in one night by my brother, and the words—whatever came into his head—were whispered into his MacBook microphone at about 3 in the morning. Most of the words remained in this final release, with only the third verse changed. Not sure of the era, but a bit of King Crimson there. That is rather fine (the clock I mean, not the song). Worth a bit of money I would guess, make sure you hang on to it. We have a similar one - though not as grand - which was left behind in a house my mother-in-law bought many years ago. She'd admired the clock while viewing the house, and the seller said "Oh, do you like that, we'll leave it for you". And they did. It's worth £000's. I am pretty sure she didn't overpay for the house, either.